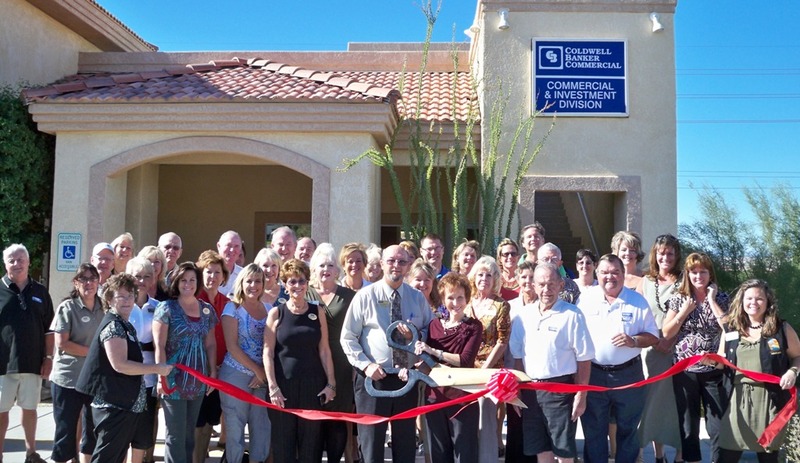 The Lake Havasu Area Chamber of Commerce Ambassadors held a ribbon cutting for Coldwell Banker Residential Brokerage’s 25th anniversary as a Chamber member. The firm’s Lake Havasu office hired its first agent in April 1986. The company was expanded in 1990 by real estate pioneer Steve Judd, who established Coldwell Banker The Judd Group. Since then, the firm has grown into one of the region’s powerhouse firms which include a residential-sales, stand-alone commercial operation, a separate property management department and two kiosk satellite offices on the north and south end of town. For more information, please contact 855-2191 or visit their offices at 321 S. Lake Havasu Ave.